Heads Up! CSA box for 11/27 Happy Thanks Givens! Happy Thanksgiving from the Givens family. I’m really thankful for the great community we have and all the fresh, nourishing produce that we are able to keep locally here through our Community Supported Agriculture program. Your support of this program not only keeps our produce within minutes of the source, but we are also able to support other local farms in the area. We also expanded and are currently raising 52 chickens this year, which will soon be producing organic eggs. And we will definitely be giving back to the less fortunate as we approach next month through food donations. Your dollars spent with our CSA program are definitely going a long way and is dedicated to educate more people about small farms and their importance. In honor of thanksgiving we will be loading our boxes up with extra portions on some items!! I’m sorry to say that a disease spread through our green beans and caused major shortage for Thanksgiving. We will be loaded back up for the month of December as our new crop is blooming right now. Casitas Valley Creamery has been hard at work and has released their new line of fresh cheeses. Check out our store to place an order for next week. This entry was posted in Uncategorized on November 26, 2013 by Carolyn. If you are going out of town or don’t need your CSA box next week please remember to put it on hold now. Simply click HERE to access your account. Otherwise we are definitely planning for our Thanksgiving CSA box!! 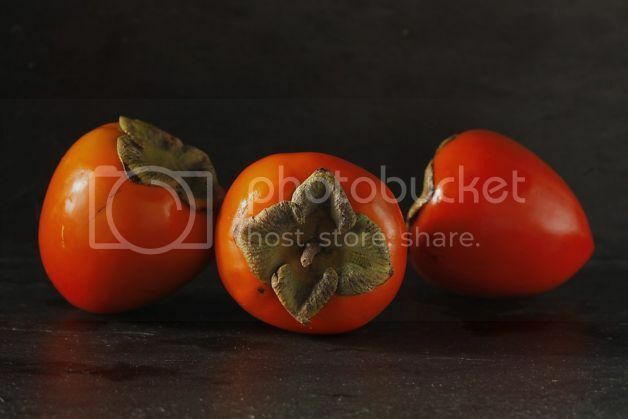 Your Hachiya persimmons this week are from Vincent Farms. PLEASE NOTE: THESE MUST BE COMPLETELY RIPE AND SOFT TO CONSUME. DO NOT CONSUME BEFORE RIPE OR THEY WILL BE BITTER. The persimmons are some of the best I’ve ever had and really great to bake with, spread on toast or freeze the pulp and eat it like sorbet. To ripen a Hachiya persimmon, simply let it sit on your counter top until it’s so soft, it’s like a water balloon about to burst. You can hasten the process by putting persimmons in a well-sealed container; adding an apple, which give off a lot of ethyline gas, which will speed things up. Vincent farms has 30+ year old trees which result in some amazing avocados, and the lamb hass has a rich creamy flavor, a step up from the regular hass. These old trees are believed to produce superior fruit and quality. This entry was posted in Uncategorized on November 19, 2013 by Carolyn. Growth is starting to slow down on the farm. I see fields of sugar snap peas, broccoli and cauliflower growing, but it’s taking twice as long as in the spring. We have also released a ton of beneficial insects to help battle some of the worst bugs that totally destroy crops. We released hundreds of dollars worth of nematodes just the other day. These are single celled organisms that eat the larva left in the soil by other bugs. It’s a constant battle to try and get these crops to grow. When our first beets come up in January they will probably be a bit eaten by what’s left in the ground. It’s just the way things work around here. Not always the prettiest, but always the tastiest. This entry was posted in Uncategorized on November 12, 2013 by Carolyn. Now we do! Place your order here to have some amazing local cheese included with your order. Made fresh in Carpinteria by Casitas Valley Creamery, this cheese will be available in our store moving forward. Ask me if you have any questions regarding our store. This entry was posted in Uncategorized on November 5, 2013 by Carolyn.